"Mr. Camporeale has represented my family with multiple matters throughout the years, including two home closings, settlement of an estate, two an auto accident claims, and consultation on estate planning. I have found Mr. Camporeale to be very hard working knowledgeable on every matter and the results often exceeded my expectations. He and his staff have always been prompt on returning calls, providing me with necessary documents, being accessible for in person meetings, and most importantly he makes you feel comfortable because he is down to earth. I highly recommend Mr. Camporeale and will definitely continue using him in the future." "To start, hiring the right lawyer is a tough decision. After speaking with Michael Camporeale the first time, I felt comfortable to work with him and I didn’t feel like I was just another client. He took his time with me and gave me his undivided attention. Michael provided me with feedback and brought additional details to my attention that I overlooked...."
"I endorse this lawyer. He is an outstanding attorney, very caring to his clients, possesses high ethical standards, and works very hard to get the best possible result for his clients. I have worked on matters with him for the last couple of years and I have been very impressed. He deserves the highest rating." "I endorse this lawyer. He is a very hardworking and trustworthy attorney. I refer him many clients. My clients are very happy with his services and knowledge." Michael Camporeale, Esq., received his J.D. degree from Pace University School of Law in 2001, and his B.S. degree from St. John’s University. He is licensed to practice law before all courts in New York State. He is also admitted to practice before the U.S. Federal District Court for the Southern and Eastern Districts of New York. The Law Office of Michael Camporeale, P.C., has successfully helped numerous individuals through the years qualify for Medicaid benefits and protected family assets from nursing homes. The firm’s vast estate planning clients have had their estate planning needs met in order to make sure that their assets were protected so that they can be passed on to the next generation of individuals that the client wishes to inherit, and not wasted on the catastrophic costs of a nursing home. Mr. Camporeale has assisted his numerous clients with the proper planning in helping to avoid or minimize estate tax issues. In addition, the firm has represented numerous individuals with the probate of estates and administration proceeding and many other matters involving the Surrogate Court and all other Courts. These matters will have included the appointments of guardians, and litigation concerning formal accountings, and disputes over property. In addition, the firm has represented many individuals in personal injury actions including wrongful deaths, car accidents, slip and falls, trip and falls, pedestrian knock downs and many others accidents cases caused by the negligence of others where large monetary recoveries resulted. The firm also has handled a large amount of real estate closings involving houses, condos, and coops for buyers, sellers and banks. The firm has also represented numerous individuals with respect to hostile work environment, sexual harassment and employment discrimination matters where large monetary recoveries resulted. Other practice areas include elder law, probate/estate administration, estate litigation, Medicaid applications, wills and trusts, living trusts, special needs planning, elder abuse and nursing home accidents and power of attorney. We are licenses to practice law in New York and have offices located in Manhattan, White Plains, Bronx, Long Island, Staten Island, Brooklyn, Queens, Melville, and Garden City, NY. The Law Offices Of Michael Camporeale P.C. can be contacted at (718) 475-9639 for a FREE CONSULTATION. While in law school Mr. Camporeale was employed at the Corporation Counsel’s Office City of Yonkers, where he defended the City against claims brought for personal injuries with respect to slip and fall accidents, pedestrian knock downs, auto accidents, and police brutality cases, in addition to working on municipal contracts, and real property tax cases. Upon graduation from law school he was employed as an associate at a general practice firm located in Bronx County, where he assisted in the representation of plaintiff’s in personal injury actions, in addition to buyers and sellers in real estate transactions from contract to closing. He was also involved with various estate matters including the drafting of Wills and Living Trusts, offering of Wills to probate, and the administration of estates, including the filling of various tax returns as well as drafting Health Care Proxies, Powers of Attorney and Living Wills. While at the firm he was also responsible for assisting in the representation of two major psychiatric institutions with respect to the involuntary confinement and medicating of mentally ill patients pursuant to New York’s Mental Hygiene law. Following his tenure at the firm, he joined one of the nations largest insurance companies (AIG) in New York City, where he issued coverage opinions and settled numerous cases for employment practice violations brought against insured’s. These matters included claims for violations of Title VII, The Family Medical Leave Act, The Americans with Disabilities Act, The Age Discrimination in Employment Act, and claims brought for wrongful discharge, retaliation, sexual harassment, hostile work environment, breach of employment contracts and handbooks, whistle blowers and failure to grant tenure. After leaving AIG and prior to the opening of his practice, he was employed as an associate at an insurance defense firm on Staten Island, NY. While at the firm he defended insured’s in all courts throughout the metropolitan area in auto accident claims for personal injuries, as well as various auto insurance companies with respect to collection claims brought by medical providers for fees under New York’s No-Fault Law. Michael Camporeale attorney at law New York is a member of the New York State Bar Association, The Brooklyn Bar Association, The Richmond County Bar Association, and the Defense Research Institute. 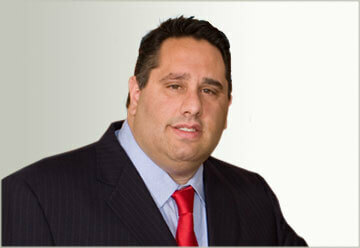 Contact him at the The Law Offices Of Michael Camporeale P.C. by calling (718) 475-9639 for a FREE CONSULTATION today, or visit our offices located in Staten Island North Shore, Staten Island South Shore, New York Manhattan Area, Brooklyn, Bronx, White Plains, Queens, and Melville, NY. Home > Michael Camporeale, Esq.